Source Citation MS Ch A, vol. 2, p. 67, Rare Books & Manuscripts, Boston Public Library. Boston, MA. Vol. 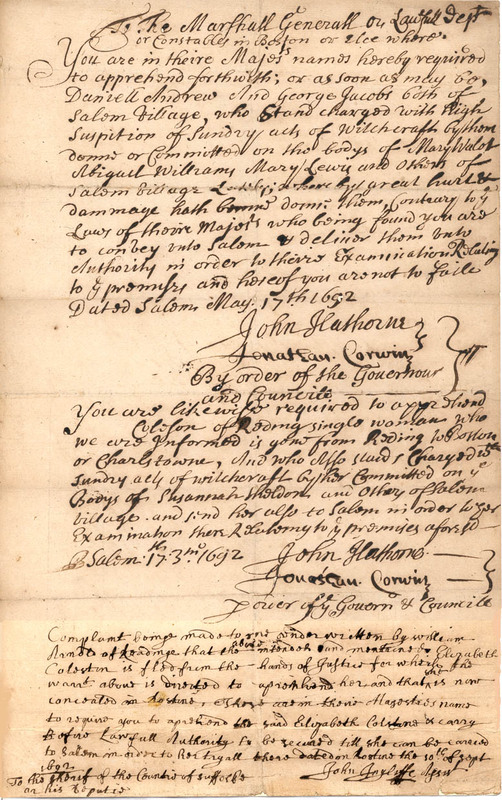 2, p. 488: Warrant for Arrest of Daniel Andrew and George Jacobs, Jr.